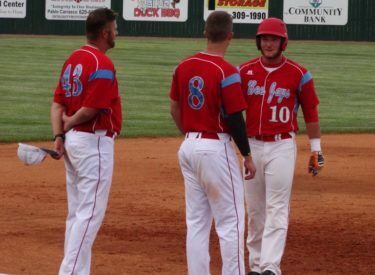 The Liberal Bee Jays put it all together on Tuesday night at Brent Gould Field. Pitching, defense, and offense were all present in an 8-3 win over the Derby Twins in the series opener. Multi year Bee Jays like Cale O’Donnell, Jake Harrison, and Derek Craft were key contributors to the win. O’Donnell was 4-5. 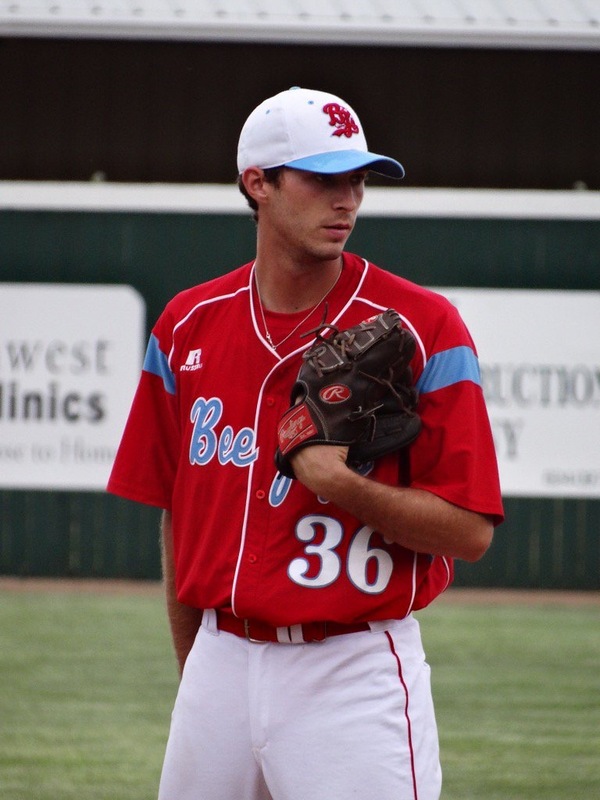 Jake Harrison, who was 4-0 in Jayhawk League games last year, pitched six shutout innings for the win. Derek Craft went two scoreless out of the bullpen. The Bee Jays turned a double play and ran down several balls in the outfield. They banged out 14 hits in the win. Liberal scored four in the second inning. Zac Cook singled to center and advanced to third on a two base error in center. Garrett Scott whacked a single to right to score him. Austin Ott doubled to right center to score Scott who scored from first even though the ball did not go to the wall. Trent Maloney singled home a run and Cale O’Donnell lofted a double off the left field wall. Jaron Robinson’s sac fly scored Maloney in the fourth for a 5-0 lead. The BJ’s scored three runs in the sixth. Cris Castillo singled home O’Donnell. The Bee Jays scored two more runs due to an error. Derby had five errors on the night. The Twins scored three in the seventh. One run was earned the other two were unearned due to a BJ error. Liberal is 2-1 while the Twins fall to 2-1. The same two teams meet Wednesday night at 7 at Brent Gould Field. The game airs on 1270 and kscbnews.net. Bisteca is the buyout sponsor.